The arts have a crucial role in empowering young people with special needs through diverse dance initiatives. Inclusive pedagogy that integrates all students in rich, equitable and just dance programmes within education frameworks is occurring alongside enabling projects by community groups and in the professional dance world where many high-profile choreographers actively seek opportunities to work across diversity to inspire creativity. Access and inclusion is increasingly the essence of projects for disenfranchised and traumatised youth who find creative expression, freedom and hope through dance. 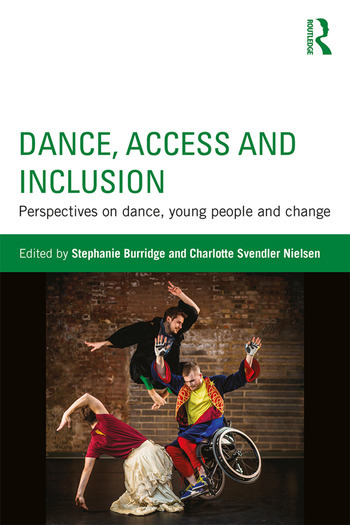 This volume foregrounds dance for young people with special needs and presents best practice scenarios in schools, communities and the professional sphere. International perspectives come from Australia, Brazil, Cambodia, Canada, Denmark, Fiji, Finland, India, Indonesia, Jamaica, Japan, Malaysia, New Zealand, Norway, Papua New Guinea, Portugal, Singapore, South Africa, Spain, Taiwan, Timor Leste, the UK and the USA. Stephanie Burridge lectures at LASALLE College of the Arts and Singapore Management University and is the Series Editor for Celebrating Dance in Asia and the Pacific (Routledge). Charlotte Svendler Nielsen is Associate Professor and Head of Educational Studies at the Department of Nutrition, Exercise and Sports, research cluster 'Embodiment, Learning and Social Change', University of Copenhagen, Denmark.